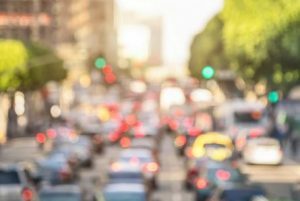 Rush Hour Traffic Tips for Truck Drivers | Platinum Drivers Inc.
“Rush hour” is simply defined as “a time during each day when traffic is at its heaviest.” Usually, rush hour is most pronounced between 5 and 6 p.m. If you’re a trucker, you know that rush hour can be stressful. Not only are there a lot of cars and trucks on the highway, but you probably have to contend with road work, road closures, road crashes, and the weather, which can involve ice, wind and snow at certain times. Rush hour can be tough. Driving in heavy traffic is best done if you’ve had some “down time” beforehand. It’s much better to get stuck in rush hour traffic when you’re focused, alert and paying attention, than it is when you’re overly tired, haven’t eaten food in a while, and in a crappy mood. If possible, the best way to deal with rush hour traffic is to avoid it if you can. Many truckers plan their schedules around rush hour so they don’t have to deal with it. This might mean hitting a busy city’s highways a half hour before everyone gets out of work and/or planning a dinner stop from 5 to 6 p.m. so that you can avoid traffic, getting on the road after rush hour traffic has subsided. Whenever possible, use the radio, CB or smartphone apps to find out about travel advisories before you’re on the road. The more informed you are, as a trucker, about weather and driving conditions, the better you’ll be when faced with a difficult route. Sometimes, because the weather and driving conditions are “so bad,” it just makes sense to spend some time at a rest stop, where at least you can eat, chat with others, shower, and/or get some shuteye. Now if you do get involved in rush hour traffic, drive in such a way that leaves time and space between you and others on the road– no tailgating! Follow the flow of traffic, minimizing lane changes. Keep an eye out for anything unusual, and avoid situations that are unsafe. Always pay attention to blind spots, signal before making a turn, and apply brakes smoothly rather than all of the sudden. If it’s nighttime and dark outside, you’ve got to be even more vigilant. If you’re looking for reliable truck drivers to add to your staff, contact Platinum Drivers today.